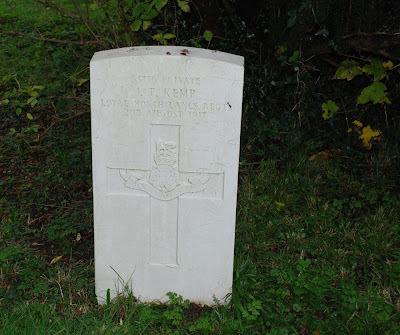 Private 33776 John Thomas KEMP. 8th Battalion, Loyal North Lancashire Regiment. Buried locally in the Goodnestone (Holy Cross) Churchyard, Kent.